It can be argued that Bethesda Game Studios’ finest hour was on November 11, 2011. 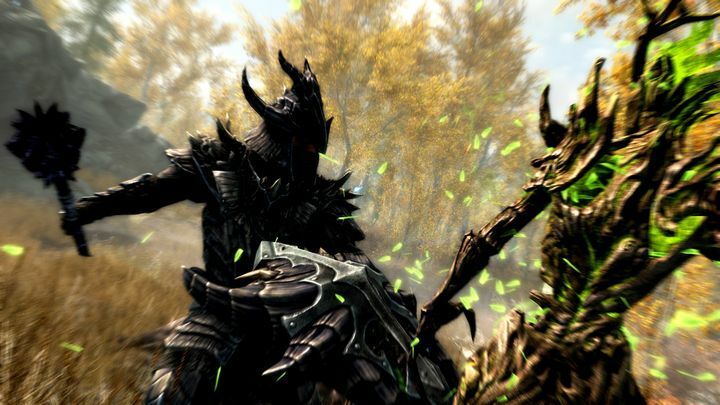 This is the date when the Maryland-based developer released their best-selling RPG, The Elder Scrolls V: Skyrim, a game that became an instant classic, garnering praise from game critics while being loved by gamers worldwide too. And the game certainly deserved all the praise it got, as it’s arguably the best Elder Scrolls game released to date and also one of the best role-playing games ever made as well. So given what a classic Skyrim is, it makes sense that fans of the 2011 game were excited when Bethesda announced that a remastered edition of Skyrim would be released in fall 2016. And this simply won’t be a prettier edition of the base game (although the remaster does look pretty great judging by the latest gameplay trailer), but it also includes all the DLC released for the game over the years. This includes the Dawnguard expansion, which featured a good vampire story, Hearthfire (which let players build their own elaborate home in Skyrim) and the Dragonborn expansion which came out in 2012. Dragonborn is probably the highlight of the three, as it takes place in the dark elf world of Morrowind, featuring a strong story with quite a few new interesting quests for players to tackle, and is arguably one of the best pieces of DLC ever released for a game. And of course, there’s also mod support for the console versions of the game, including in the PS4 version of the game, despite Sony’s initial disapproval.